"As we recover, users will experience some longer load times and slowness. This includes timeouts to API clients. We’re working to get back to 100% as quickly as we can." 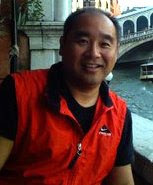 I am able to Tweet from my Twitter Desktop Client TweetDeck and Tweetie, my iPhone Twitter App. Here is a list of reliable Twitter Desktop Apps. I noticed this morning on the Twitter Status Page that Twitter.com confirmed that their site is down. Go to http://status.twitter.com The message on their site says: "We are determining the cause and will provide an update shortly." This also means that Twitter Clients such as TweetDeck, Tweetie etc. are also down because the Twitter API access is also impaired. The NBA 2009-2010 Schedule has recently been released and if you are a fanatical NBA basketball fan, you might want to import your teams schedule into your Microsoft Outlook or Apple Entourage and then synchronize it with your iPhone or Blackberry. 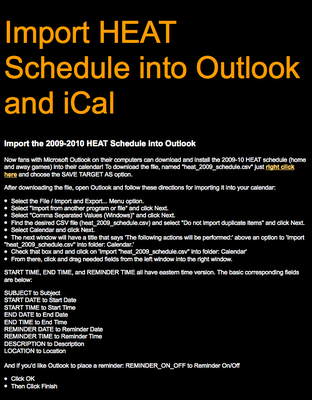 Since I am a Miami Heat fan, today I exported the file off the Miami Heat NBA website and followed their well-written directions to import it into my Microsoft Outlook. Here are some helpful hints. - Microsoft Office Outlook Import and Exporters - To import the Windows .csv file, you may need the Import Filters which should be installed automatically from the Office Local Installation Source (C:\MCOCache a hidden folder). If you receive an error message, then you may need your original Office Installation disks. If you are not able to add the Import/Exporters, I would not recommend proceeding unless you want to re-install Office. - Microsoft Outlook Calendars - Before you start the import process, check to make sure what your primary Microsoft Outlook Calendar is. Some users may have more than one which might cause problems later when synchronizing with your iPhone or Blackberry. - Print the instructions on your team's website. You need to follow them very closely or you may create many 80 something plus entries in your calendar that will need to be deleted manually . - Save the Heat.ics file to your Desktop, then add the New Event to your destination calendar in the list box. I clicked on the Heat.ics file and was prompted through the process. If you make a mistake, you can click Edit, Undo to your last import. - If you use Google Calendar, open the Miami Heat 2009-10 Official Schedule then click on the +Google Calendar in the bottom right corner of your screen. 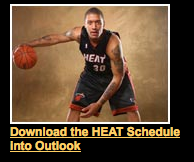 It you are already logged into your Google Calendar, it will add the Miami Heat Schedule. 1) Pay your parking by credit card. 2) Auto Text Message Reminders to your cell phone. If your dinner or movie runs longer than expected, then you can refill your meter from your cell phone automatically. This is a huge benefit! 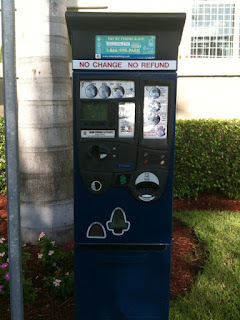 3) When the parking meter is either out of paper or not able to scan your credit card (it happens too frequently in my city Miami, Florida), which could be embarrassing if you are with clients or are out on the town during the evenings. To use Verrus Pay by Phone, you merely, dial the Pay by Phone Number, Enter your location and Enter the number of minutes you would like to park. The Verrus Pay By Phone mobile payment system is now operational in cities across the United States like Aspen, Chicago, Coral Gables, Dallas, Hawaii, Madison, Miami, Milwaukee, Minneapolis, New Haven, New Orleans, Oakland, Redwood City, Santa Ana and Seattle. If you plan on traveling to any of these cities, it doesn't hurt to sign-up because it's free. Okay, if it sounds too good to be true, it is. There is a $.35 cents charge on each transaction, even re-filling your parking. However, it wouldn't take too many $25.00 parking tickets per year to offset that fee. You can sign up by calling Verrus using the number on the parking meter, but it is much easier to do so online. 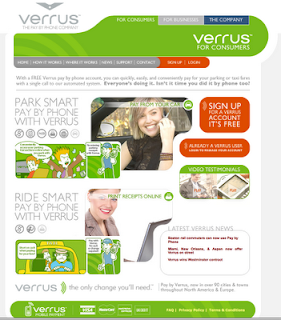 To sign-up for the Verrus Pay By Phone, go to http://www.paybyphone.com or http://www.verrus.com There is no registration fee. They accept VISA, MasterCard, and American Express but AMEX is not available at all locations. You also need to enter the license plate number to your vehicle(s).